Tequila is one party drink no one can get enough of, it’s no wonder why people seek out this Mexican drink to have countless hours of fun. It’s not just fuel for you to get down on the dance floor, but it’s also a way of life. No matter what your social class, tequila can both be enjoyed with a silk glove or by the pavement. Before anything else, however, it’s important to know just where it all came from: the original and the most authentic tequila maker, Jose Cuervo. Tequila is born and bred from a cactus-like plant called the, “Blue Agave Tequilana Weber”, which grows in mucho amounts of volcanic soils in five Mexican states: Jalisco, Nayarit, Michoacan, Guanajato, and Tamaulipas. 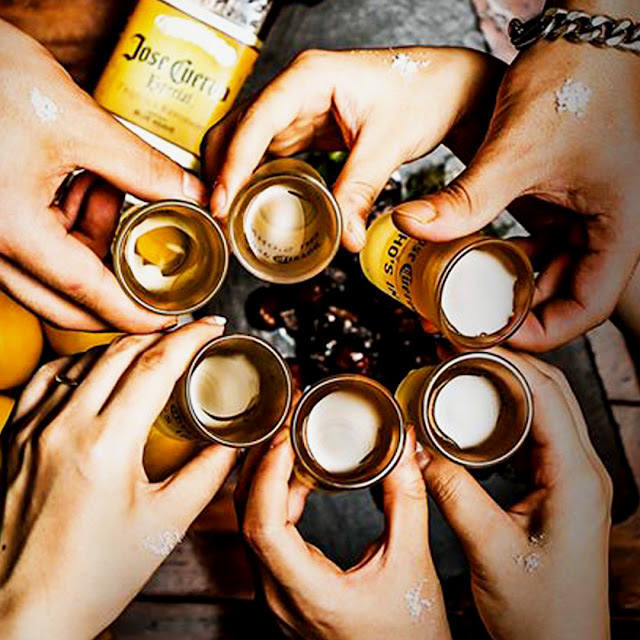 It’s been said that tequila is only considered as tequila if it comes from these very states, and the one-of-a-kind Mexican liquor is produced only by Jose Cuervo in the town of Tequila, Jalisco, Tequila’s namesake. Avid tequila connoisseur would know that for tequila to be called tequila, it had to follow the following expectations: it had to be made from Blue Agave, has to be produced in Mexico, and must have a Norma Oficial Mexicana (NOM) number in the bottle for it to claim to be authentic tequila. It’s best to check your bottle’s label if they have their own NOMs. What’s the difference between a “Regular” and “100% Agave” Tequila? There are two types of tequilas that you can buy, either “100% Agave” or “Regular” Though they differ in composition and flavor, both are certified by the Mexican government regardless. The regular tequila is composed of 51% sugar from the Blue Agave while the other 49% comes from natural sugars. Its flavor is smooth and suave like a well-blended whisky. For beginners, the combination of regular tequila is a perfect starter pack for shots and mixed drinks. Meanwhile the 100% Agave tequila is composed of 100% sugar from the Blue Agave, giving it an intense, singular flavor that packs a punch, for the more developed spirit palate. Jose Cuervo Especial uses sugarcane molasses from the other side of the Tequila volcano and is higher than the minimum 51% Blue Agave. What are the classifications of tequila? Reposado, Añejo, and Extra Añejo. These classifications of tequilas all depend on the span of how long they age and how long they process inside an oak barrel. Tequila Plata (Silver) is the only one that does not require an aging process and can be bottled right after distillation or possibly stored in stainless steel tanks to settle for four weeks. As said, due to its simplicity in flavor, its best enjoyed with mixing drinks as it blends with the drink and does not overwhelm the flavor. Tequila Reposado (Rested) is rested for at least two months to one year inside oak barrels. A general-tasting tequila for both the novice and the expert of tequila, this is the perfect compromise. Tequila Añejo (Aged) comes from small oak barrels (around 600 liters) for a minimum of a year. With the duration of its aging process, it gives it a smoother, richer, and more complex flavor is certainly the way to any spirit-loving heart. Tequila Extra Añejo (Extra Aged) takes over three years to age. The process brings off the tequila’s Mahogany color and its extremely smooth and complex flavor that even the most seasoned experts find it difficult to distinguish it from other quality-aged spirits. 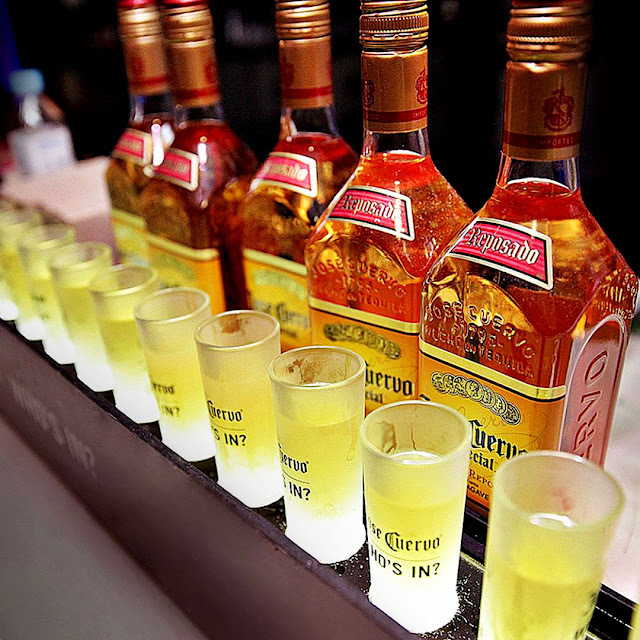 How does Jose Cuervo process their tequilas? While some premium tequila brands use old techniques in processing their tequilas, Jose Cuervo is the only one of its kind to use its own artisanal tradition. Once the agave’s core or “piñas” are harvested, they are sent to La Rojeñna – a tequila distillery – to cook the core to refine the taste of tequila before it goes through fermentation, distillation, and the aging process. Tequila in general is mostly used inside restaurants and bars to make special cocktails or as an ingredient for main dishes or desserts, or even for family gatherings. Any authentic tequila bottle has to have all these requirements—any legitimate Tequila business knows that. Before checking out that bottle however, make sure to check the label and look for “Made from 100% Agave Tequila.” Most likely, you’ll find it in a Jose Cuervo bottle.